Select from 3 levels of Golf Memberships – Eagle, Birdie or Par and add-on unlimited cart rental to any level. Adult and Junior Unlimited Memberships available. Membership includes regular green fees only, but you have the option of adding the Unlimited Golf-Car-Use Membership. Fees include tax. Unlimited play at all Milwaukee County Parks Golf Courses including Brown Deer for the 2019 season. Special hours of availability at Championship and Regulation Courses are noted below. Junior rates are for players under 18 at the time of purchase. Unlimited play for the 2019 season at any of the 14 courses excluding Brown Deer. Membership covers the cost of regular green fees only at Championship, Regulation, Executive, and Par 3 courses. An unlimited golf cart upgrade is also available. 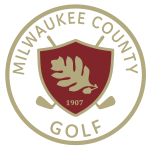 Juniors with the Milwaukee County Parks Golf Discount Card and Birdie Pass enjoy unlimited play at all Milwaukee County Parks Golf Courses except Brown Deer. Special hours of availability at Championship and Regulation Courses are noted below. Unlimited play for the 2019 season at any of the Executive or Par 3 courses. Membership includes green fees at Hansen, Warnimont, Doyne, Lake, Madison, Noyes, and Zablocki golf courses. Juniors enjoy unlimited golf at Executive and Par 3 Courses when they purchase the Milwaukee County Parks Golf Discount Card and the Par-Buster Pass. If you prefer to ride, this is the special for you! Enjoy Unlimited Golf-Car Use in your Milwaukee County Parks for the season. Good at all courses offering standard golf cars. A new Membership Card will be issued to you. This card must be presented each time you golf. Memberships are non-refundable, non-transferable, and non-assignable.